My dear friends, as you may already know, a great mission of AbundantHope is to encourage the people to become messiahs, and develop messianic projects. There is not just one messiah my beloved's, there is a need for many, and you can chose to become one yourself, either as an individual, or as a community project. We all belong to a variety of communities. First and foremost, we belong to a family. Some have very small families, others quite large families. Family members are usually related by blood, but we all have loved ones, that are family to us also. We may belong to a religious community, such as a Christian church, a Jewish synagogue, an Islamic mosque, or a Buddhist or other type of temple. There are many religions throughout the world, a list far longer than the above. Most have some sort of meeting house, and usually some sort of meeting leader, a cleric of some sort. Most of us belong to a community where we are employed by another, a business, a government agency, or a non profit organization. We may have our own business. Even if we are self-employed, we have a community of clients and possibly employees. Then we often belong to social communities. Examples would be Boy Scouts, Girl Scouts and similar youth organizations. Some are Masons or Elks as examples. Maybe some of you attend an exercise class of some sort regularly, or go to a senior center. Once I had a business at a weekend flea market. This qualified not only as self employment, but we found great community in that place between those of us who rented the same space continually and came to know our neighbors in this situation. All of us live in a housing community of some sort. There are apartment communities, single family home communities and condo and townhome communities. There are mobile home communities. In really poor areas there are slum communities. If you are in the military, you may live in a barracks community. Some belong to farming and ranching communities. Then there are school communities. We attend school from a very early age and eventually often attend a school of some sort after we finish our basic education. And there are now online communities of a wide variety. I formed some community with my readers of the messages as they were written through our exchanges of email. We usually live, work, study, and socialize in a variety of communities. Many have heard the term "Two Or More In My Name." What AbundantHope desires to do, is assist people to discover this most wonderful way of service and develop a messianic mission of some sort to assist in the healing of our beloved Earth, who has many peoples suffering in a variety of ways. Through our Messianic forum on this website, we will welcome your ideas to be read by others. We will post on the website projects as they are created, and make suggestions as we find people that need a hand up, or other issues on the planet that need some fixing. Some are horribly poor. Some are horribly ill. Some are very unloved, and often either depressed, or the opposite extreme, hateful. Some live in polluted environments. In fact, nearly all of us do, because our water, air, and food are contaminated. Some work themselves to the bone, either because they are poor, or they are workaholics. Some, in fact all of us, lack adequate education to varying degrees. Many, who seem to have everything, feel they have nothing, a lack of spiritual education or identity. Many lack communication skills and self-esteem. Many follow way too much and often have no choice, being mind controlled by others. There is much on our planet in need of repair. The people need repair, the land needs repair, business needs repair, and animals need love and respect. The planet needs love and respect, period, and we abuse our home called Earth and it's life terribly. Many await that magical messiah who will somehow fix everything, wave a magic wand. 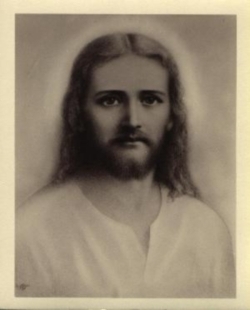 Some came around 2000 years ago with Sananda (Jesus) and Christ Michael, the Creator Son of our Universe of Nebadon. These were the 144,000 mentioned in various religious materials. They have spent many lifetimes on Earth since then, many repeatedly killed and otherwise harmed, often one life after another. Many were burned at the stake for example. This number was inadequate, so many more have come since then. I came to Earth myself with quite a few family members, around 400 years ago. We are from a planet called Myrua, it's sun called Merope, of the Pleiades. This is my 6th life on the planet. There are many Pleiadians here now, and many Sirians also, plus a multitude of others. Earth has a number of advanced souls having their origin on this planet, but the numbers are inadequate to effect change, due to the past history of the planet, and you of Earth need the help of all these others coming. Earth now has well over 200 million messiahs, incarnate and more arriving by the method of birth everyday. You are all messiahs if you so chose to be, it is your choice. We need little messiahs and big messiahs. A kindergarten class can create a messianic project. A huge corporation can create a messianic project. In fact, the huge corporation can be a messianic project in and of itself. A family of only two can create a messianic project. Even if you are doing a messianic project as an individual, you are going to come in contact with others, and need some help. The power of Two Or More In My Name is huge beyond description. Two Or More In My Name refers to acting in one's God self, the I AM, with another, or many, all acting in their "I AM," not their "I Follow." Acting in the I AM is acting in co-creation with God. We are Creators, not followers. We must become, not follow. This idea has been denied to many in their journey of life, through many organizations in the matrix, the churches, the schools, the family structure, the laws, and a longer list than this. So, why did I cover the types of communities you belong to above? Because looking for messianic ideas can start right in your communities. You can be a messiah in your own family, gently demonstrating another way to be. Showing strength in the coming times of great change. Being a rock. Being unafraid to being open to new ideas, and new ways to be. It is said in the Bible, that Jesus came not to bring peace but to set one against another, even in the family. This was not meant as an act of hatred, but one of saying no to the matrix in place at that time, and still very much in place in this age. The control of the matrix starts at home. In those days, one did not dare to question, not even a parent, to speak an individual mind, to think. So it goes still now. Be the one to show those around you how to change, to grow, to become, in all of the communities in which you are a member. It is time to re-member your communities. Many of you will chose large projects, with the funding coming that will help you do this. But the small projects, living a messiah conviction, by the many, will do more in many ways to change the whole world. It all begins in the family. Make family wherever you are, in addition to being with your blood family. Strong families are the foundation, the rocks of a successful society. Nurture all those you see as family. Be in Joy, Peace, and dream a wonderful dream and bring in into fruition. Be a creator in every part of your life! Become a messiah!